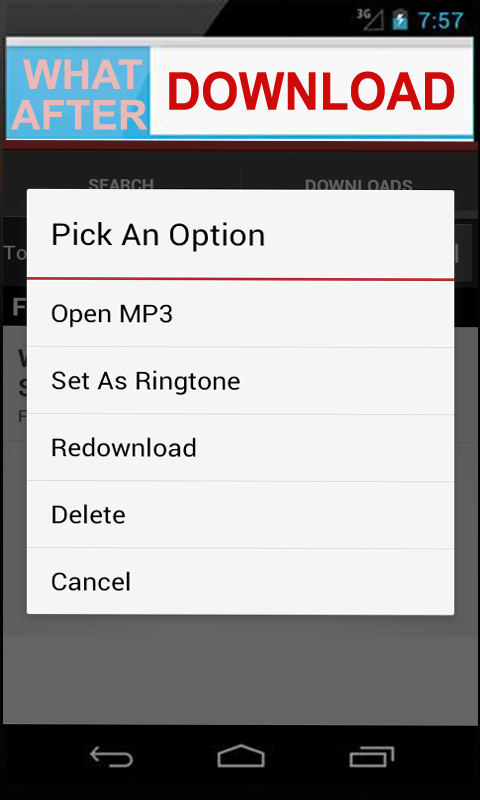 MP3 Music Finder is a Free Mp3 Download App that allows you to search, download and listen mp3 songs. 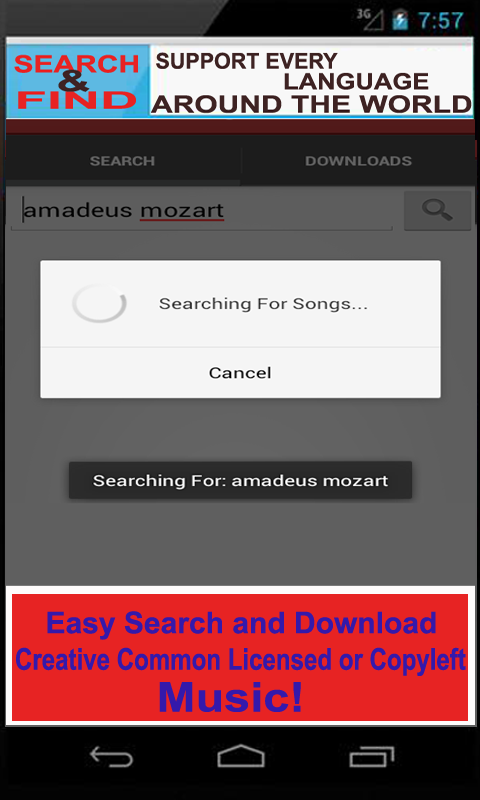 Usage is simple - in "Search" tab enter your search query, hit "search" button, wait for results to load and then click on the song that you want to download. You can "Listen" the music and you can "Download" for it. MP3 Music Finder is free and simple mp3 and song download for music maniac and you can download copyleft or creative common music licensed. If you want have search result removed or want to know the link source of the songs result, please contact and send us email with DMCA complaint or suggestion. Get FREE Android MP3 Music Finder and Music Downloader Apps NOW!